One of Zion's most impressive landmarks, the towering white monolith of the Great White Throne can be seen along the scenic drive, from atop of Angels landing, and is popular with climbers. Zion's Great White Throne towers over the surrounding Zion Canyon, visible from the park shuttle viewpoints. Consider a hike up Angels Landing for unparalleled and uninterrupted views of the Great White Throne. Popular with climbers, certain routes are routinely closed, so be sure to check with local ranger stations. Rising more than 2400 feet above the valley floor, Zion's Great White Throne is often known as the symbol of the park, as well as one of the park's most impressive landmarks. This white sandstone monolith can be seen from most locations along the scenic drive and is popular with climbers. 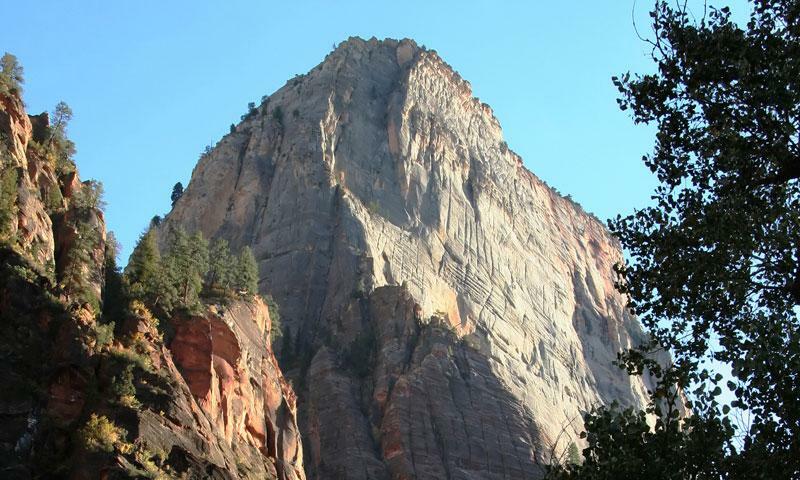 Situated near Angels Landing, the Great White Throne in Zion National Park is visible from most locations in the park. Many park visitors chose to view the Great White Throne's majesty from the security of the park's informative shuttle bus, which stops at a varied viewing points. Hiking enthusiasts will find unparalleled and uninterrupted views of the Great White Throne in Zion from the top of Angels Landing, a popular Zion hike. Although there are no established hiking trails up the Great White Throne, Zion, this area is popular with climbers. Because the Great White Throne is within a national park, there are regulations to be aware of. If you are planning an overnight trip, a bivouac permit is required. Certain climbing routes are routinely closed on the Great White Throne, so be sure to check current closures and conditions at a Zion ranger station. 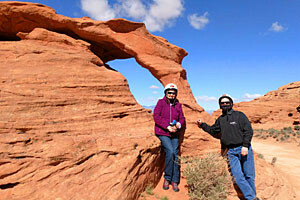 Connect with travelers planning a visit to Zion National Park.